The Gambia’s former president Yahya Jammeh stole at least $362m from the state during his 22-year rule, the West African country’s justice minister has said following a nearly two-year investigation. 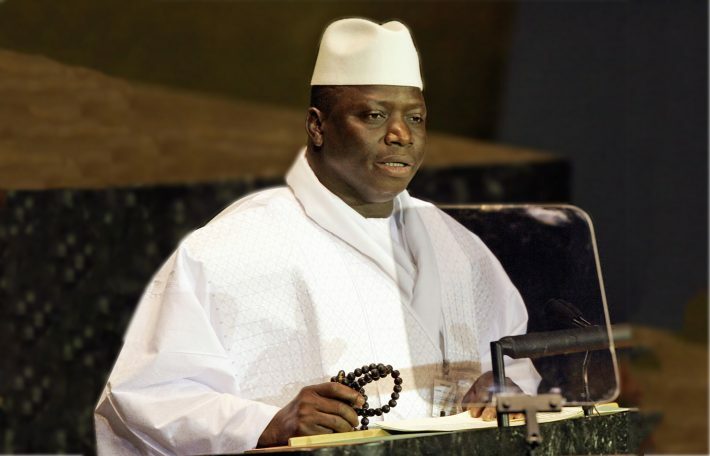 Jammeh, who seized power in a 1994 coup, fled The Gambia in 2017 for exile in Equatorial Guinea as an African regional force closed in on the capital Banjul to enforce his election loss to President Adama Barrow. Speaking to reporters on Friday, Justice Minister Abubacarr Tambadou provided a summary of a report compiled by a commission of inquiry. The report, which has not yet been made public, was based on interviews with 253 witnesses. Jammeh has not commented on the accusations from his base in Equatorial Guinea, but his supporters in The Gambia have dismissed investigations of him as a witch-hunt.The probe established that Jammeh claimed titles on 281 landed properties in the country, as well as assets abroad, including a residence in the United States, according to Tambadou. It also found the former leader’s assets in his home village of Kanilai alone were worth $28.2m. The Gambia’s new authorities believe Jammeh took many of his cars and valuable items with him, after a period of rule characterised by extrajudicial killings, torture and forced disappearances, as well as the pilfering of state assets. They previously said that money was stolen by creating fake accounts at the central bank and skimming money from the national telecommunications agency and other state institutions. Tambadou said the government was working to recover the stolen money. Barrow, the new president, has promised to “stand firm” in implementing the report’s recommendations “without fear or favour”.So far, the government has sold off some of the possessions Jammeh left behind, including planes and Rolls-Royces with his name embroidered into the headrests. A report earlier this week by the Organized Crime and Corruption Reporting Project (OCCRP), a non-profit investigative reporting outlet, said that Jammeh and his associates “looted or misappropriated” at least $975m. The project said that bank statements, contracts, government correspondence and internal reports show “a web of fraud that far exceeds the figure offered” by Gambian authorities. The money that was not funneled to presidential controlled bank accounts went to businesses that received lucrative contracts from the former leader, the investigative group said. He got away with it because The Gambia is small, with a population of some two million people, and remained relatively obscure, the group said. The Gambia, meanwhile, faces a debt burden that reached 130 percent of gross domestic product last year, leading the IMF to warn the country against any new borrowing.